B Agency Take On The Great British Bake Off! Part 1: BPR’s Great British Bake-Off! Entry Quantity – 1 baked cake or dessert of your choice; no breads or Eton Messes! Entry Requirements – The dessert must begin with or include a main ingredient beginning with B. Note – All submissions must be homemade with your own pretty little hands. Hannah Kingsman, Fashion Account Executive – A Sucker for her sweet tooth and a dabbed hand at piped icing, with a few tricks up her sleeve Miss Kingsman is hoping to be this year’s Queen of the Tarts! Danielle Marshall, Beauty Account Manager – A splash of colour and a mix of aromatic flavours, our Bohemian beauty will be drawing inspiration from her cultural explorations to add a vibrant twist to this year’s competition. Heather Mclean, US Publicist –With the luck of the Irish on her side and bottle of Baileys in the other, her boozy puds might just be the pot of gold at the end of the rainbow. Megan Freebury, VIP Account Manager –The self-dubbed ‘Gangster Mary Berry’, Megs-Mooch will be bringing an urban flavour to the odd sponge or two. Perdita Nouril, Beauty Freelancer –With a creative flare and fine eye for detail this Iranian Princess’s sugar skills are to be rivaled by many as her decorating sails her to victory. 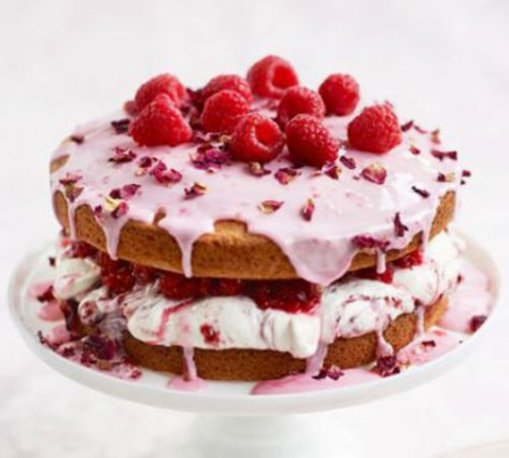 Katie Guyan, Fashion and VIP Assistant –Our rising star is set to whisk up a storm and be the talk of the town with her innovative, gluten free recipes. Poppy Aarons, Senior Fashion Account Executive –Our blonde bombshell will look to her Jewish roots this year, transforming cultural classics into luxurious treats worthy of any lust list. Andrew Durling, Beauty Account Executive – An ex-lover of Mr Hollywood, this pastry king is the only boy left; this year’s underdog will revisit his childhood cookery lessons to secure the golden prize. Charlotte Brown, Fashion Assistant – When’s she’s not at her cooking station you’ll find this practical joker cracking a smile and hitting those top notes. Sprinkles, sprinkles and more sprinkles is Charlotte’s secret to success. Olivia Smith, Collections Coordinator – Sugars and spice and all things nice, Olivia’s meticulous and trend-setting creations will be causing ripples amongst those out of date afternoon tea lovers. Victoria Baker, Beauty Account Executive –This chocolate fiend’s firm hand and steady nerve will set this siren up for glory, not to mention her alluring buns and sweet harmonies will captivate with a bounty of baked goods. Holly Brunskill, Director & Managing Partner – Forget mundane Christmas puds, Holly will be serving up an ace with her priceless and modernised takes on the vintage classics. Sally-Anne Stevens, CEO & Founder –A taste for the finer things in life, Sally-Anne’s luxurious infusions will have heads spinning as she strides to victory in her red-hot Louboutins.